FOR a man synonymous with the DUP, Peter Robinson has been swept out of sight by a PR campaign that could be dubbed 'Avalanche Arlene'. He and other DUP veterans seem to have faded into the background in the blizzard of party publicity ahead of the May 5 Assembly election. But this is more about cool heads than anyone getting the cold shoulder. The carefully choreographed coronation of Arlene Foster as leader has allowed party strategists to rebrand the DUP ahead of an election where it fears losing some of its record tally of 38 seats. The party must believe the tactic is working, because it’s throwing everything at it. Whether it’s media coverage, online campaigns, or the DUP's party political broadcast, the new leader is virtually the only face we see. It suddenly seems as if Arlene Foster is the DUP and the DUP is Arlene Foster. Despite his absence from the campaign, however, Peter Robinson’s fingerprints are all over it. The DUP knew that in Peter Robinson it had a sharp-edged leader who appealed to voters' heads, rather than voters' hearts. But too much time at the top, and too many controversies, left his steely image looking dented. Now the DUP is seeking to take full advantage of having a leader with more personal appeal. Arlene Foster is a tough politician and the party might have been expected to trade on that, but instead it has opted for a much softer image. The DUP’s televised election broadcast sees the new leader at home, talking about her childhood, and chatting to constituents in the shops. It's a long way from the outspoken figure who controversially described herself as a gatekeeper against 'renegade' nationalist ministers. There's an impression that even the new leader isn’t entirely comfortable with the more saccharin sections of the script, but her personal history of IRA victimhood adds depth to the TV portrayal and resonates strongly within unionism. 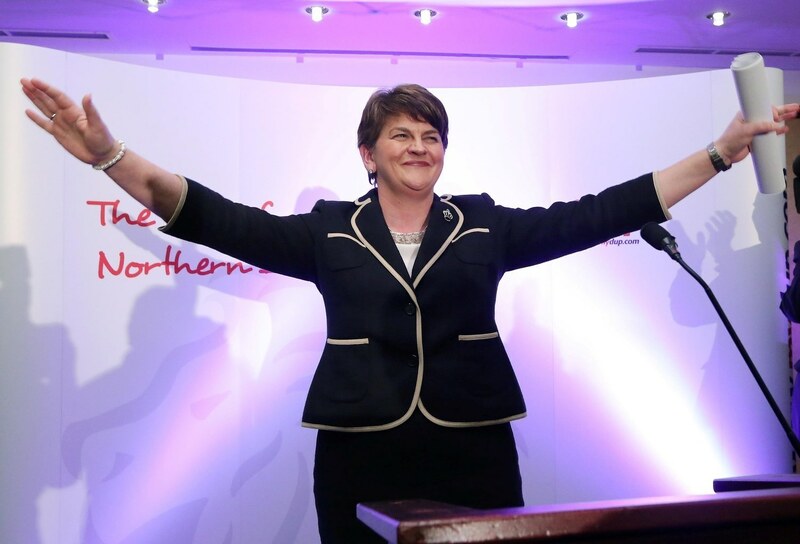 As a result, she has succeeded in simultaneously positioning herself as a new broom to those voters who might be cold towards the DUP, while also reassuring party stalwarts that she remains true to core values. Wrapping old certainties in softer, forward-looking language is a recipe that Peter Robinson spent years trying to perfect. Now Arlene Foster is successfully serving it up for him. Arlene Foster has refreshed the DUP and put a spring in its step. The language of a new vision for unionism echoes that adopted by Peter Robinson as far back as 2012, if not earlier. 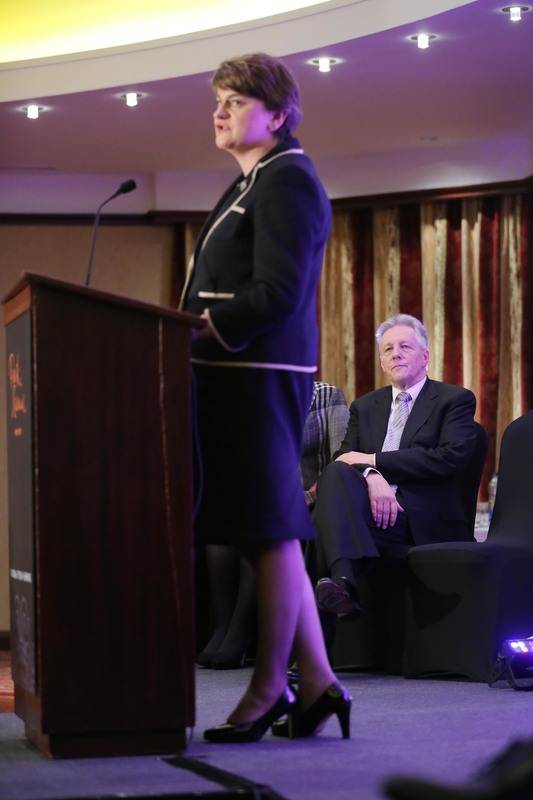 The campaign is led by Arlene Foster, a politician poached from the Ulster Unionists during Robinson’s reign to help attract mainstream unionist voters. The election message trades on the DUP as a party of government, an image crafted by Robinson. The bid to reach into sections of loyalism includes a West Belfast candidate, who once represented the UDA-aligned Ulster Democratic Party, but who was recruited to the DUP under Robinson’s leadership. And behind the scenes, the entire campaign is being driven by the same core team of advisers that stood at Peter Robinson’s shoulder for years. The election is proving so flat and uneventful that, although the ‘Arlene’ rebrand seems to be going well for the DUP, it has yet to be stress-tested. That may not happen until after the election, when the party returns to the reality of sharing power with Sinn Féin. For now, while Peter Robinson was deemed too unpopular to lead his party into this election, we are nevertheless watching his chosen successor implementing a battle-plan that he designed. It almost feels as if Peter Robinson isn't so far away after all.